And 8 beds dormitory rooms. 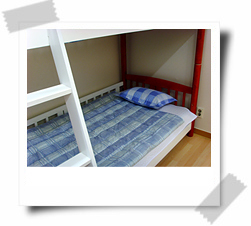 Our guest house is hotel-style dormitory. 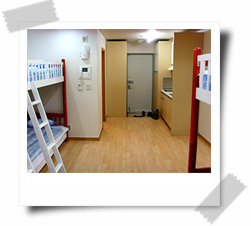 With only 6 beds, it is comfortable with spacious living area in the room. The room is composed of 2 floors providing a high ceiling. Its very spacious. For 8 beds room, we have 2 more beds on upstairs in the room, so totally 8 beds. And free breakfast - in the common room. Linen is always washed every time, providing clients with neat and ‘fresh’ feeling. 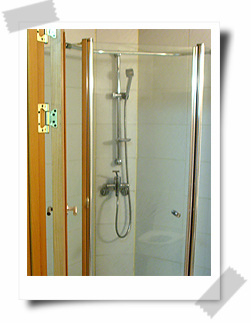 The wooden floors provide comfortable humidity control. 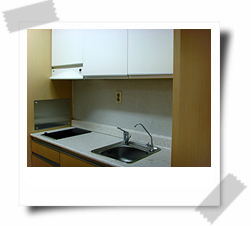 Opened in January, 2007, you will find the room, bedclothes and furniture, new and well furnished. 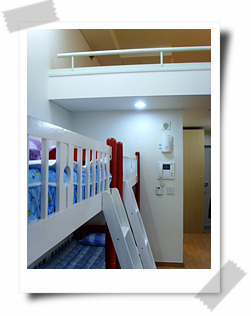 Although there are 8 beds, the top and bottom floors can accommodate added guests (up to 10 persons). ? If you want to. (50% discount will be given to additional guests, if in a single group). Room rate may be charged. We pretty sure you would love to stay. Because the building has direct access to subway line 2 ? Green color line (Hongdae station-Hongik Uni. station) you can access the subway by directly descending to the elevator and right into the subway station. at our guesthouse, HONGDAE guesthouse, in Seoul, Korea. 100M Internet & Wifi for free. the Internet 100M is speed. PC can use in each room. You may cook simple meals as well, if you have brought your own food. 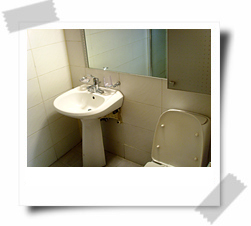 for your staying pleasure at our guesthouse, HONGDAE guesthouse in Seoul, Korea. Copyright 2007 hongdaeguesthouse/guesthouse in seoul korea. All rights reserved.